If you liked the movie, The Guns of Navarone (who didn’t?) or The Heroes of Telemark, then you will race through this terrific novel. 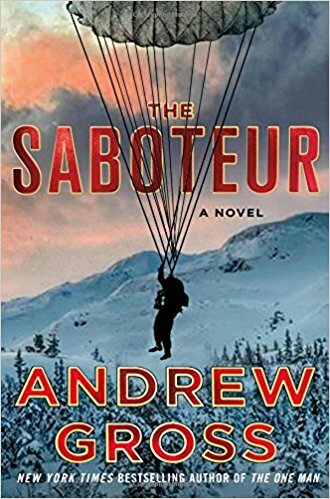 But even if you haven’t seen the flicks, but you enjoy solid story-telling with a foundation in historical fact, The Saboteur will have your heart racing anyway! The book is based on the sabotage efforts surrounding the Nazi heavy-water plant at the Vemork power station located in Telemark, Norway in 1943. It follows the exploits of Kurt Nordstrum, an engineer in Oslo, who puts his life aside to take up arms against the Germans as part of the Norwegian resistance. You can almost feel the chill winds blowing around you as the missions (yes . . . there is more than one) unfold and we get a wonderful understanding of the near-impossible odds that are facing the Allies. The production of heavy-water was essential in the Nazi quest to create an atomic weapon that would change the course of the war. The harsh landscape of Norway is described in vivid detail and it is hard to believe that the story is based on fact. 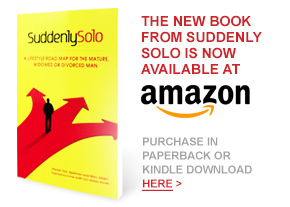 The author has done a terrific job creating characters who we really come to know and we quickly learn to appreciate the challenges that they had to overcome. The Saboteur is a compelling read that we heartily recommend to our Suddenly Solos. PS If you haven’t read Andrew Gross’s previous book, The One Man, it is also a great page-turner!